YEREVAN. 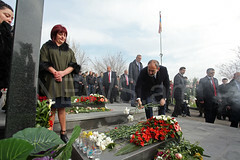 – Armenian Prime Minister Nikol Pashinyan had an informal meeting with Georgian counterpart Mamuka Bakhtadze during a visit to Yenokovan community in Armenia’s northeastern province of Tavush. 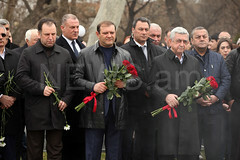 They discussed the issues on Armenia-Georgia agenda, the Armenian government said in a statement. The prime ministers underlined importance of Armenia-Georgia relations in all sectors and expressed confidence that further active cooperation will contribute to the development of bilateral ties. They emphasized the importance of frequent formal and informal meetings. 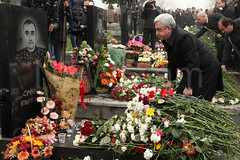 The last informal meeting took place on January 15 in the Georgian town of Bolnisi.